I hope I have spelt that correctly. I am at my mums house and she has kindly let me cut up magazines that she has finished looking at, like six years ago. These were called Modern Painter, and had loads of really good stuff in them, I also found out through all this that my 79 year old mother is rather keen on Banksy. 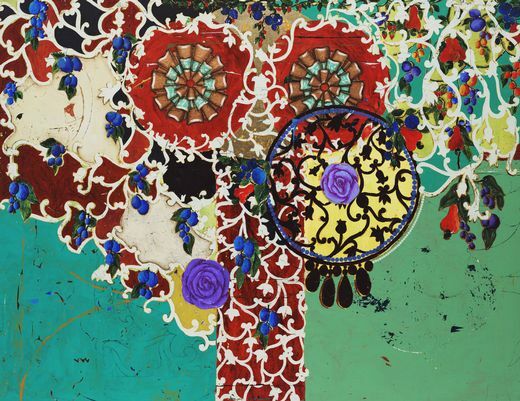 I am intrigued by this, as although she has just great taste in art I didn't see her getting into urban art. She is a sweet little old lady, but my sister and I are never convinced that she isn't really a secret agent, or mercenary, soldier of fortune etc and could kill a man in un-armed combat quickly and quietly. 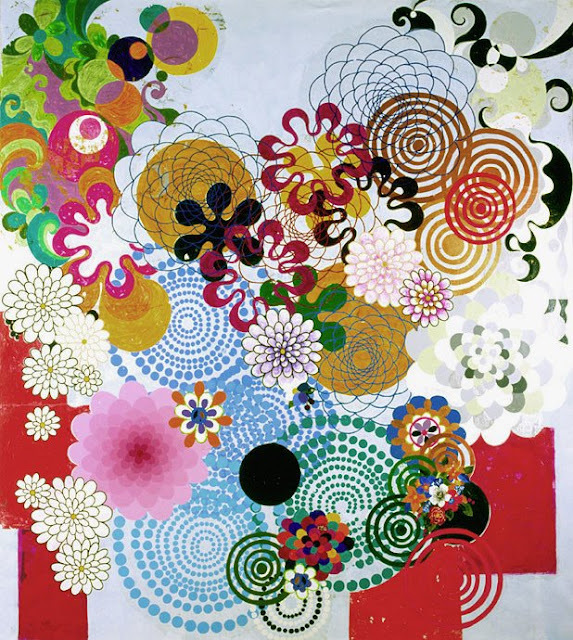 Anyway I am getting side-tracked, I came across Beatriz Milhazes and I loved her paintings. 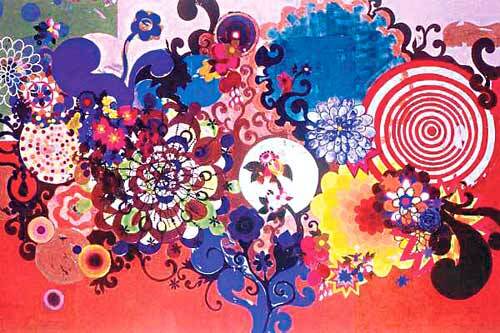 So me and the girls have been doing some art and I had already started cutting out flowers and circles from some magazines ( not Modern Painter) and was given a extra kick of inspiration by this lady. I felt like I was in art therapy, in a non-threatening activity of PVA glue and coloured paper. Ha Ha. here and many more on google images. And I have got this far in my production. It needs more layers and textures and paint and possibly a match. But I have enjoyed it so far, I will continue today, once I have stopped drinking tea and eating too much. my little girl has started on some "scary owls"